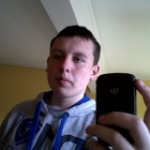 Hi, my name is Aaron, I am 23 years old and am currently living in the East Belfast area. I am a fun, friendly and responsible person. I enjoy playing football, watching films and playing the Xbox. I'm also a tech guy so I enjoy any gadgets like new phones and new games. I am CPR and First Aid certificated and have 7 Years experience babysitting for family's in my local area. I also have special needs training and experience of Asthma, Autism, ADHD/ADD, sensory impaired and various other needs. I am free most of the time to babysit for you so you can have a night out and enjoy yourself and I'm also available on short notice at any time or day. I'm free all weekend to help you out if needed and also have my own car so I can travel to and from your place at any time. I also offer respite for parents who are looking a break. Thanks for viewing my profile and if you have any questions please contact me on here or my phone. 7 Years experience babysitting for families in Belfast. Monday - Friday = Free after 5pm until late. Saturday - Sunday = Free all weekend. Available Christmas Eve, Christmas Day, Boxing Day, New Years Eve and New Years Day. Below are the latest reviews for Aaron S. Please note that reviews represent the subjective opinions of other Childcare.co.uk users and not of Childcare.co.uk. Parents must carry out their own checks and references on childcare providers to ensure that they are completely happy before enaging in the use of their services. Used Aaron as a babysitter for my kids lots of times and he is really good with them. Helped potty train my youngest who has autism and changed lots of nappies. Definitely worth 5 stars! Great professional babysitter. My son has autism and Aaron took his time with him and now have a great bond together. Made meals, changed nappies, put my kids to bed and done bath time with them. Would definitely recommend Aaron. Aaron has watched both of my sons for the last month and he is an amazing guy. Always on time and my kids can’t wait until he comes over lol. Would definitely recommend Aaron to anyone who needs a babysitter. Best babysitter in Northern Ireland by a mile. My kids adore Aaron and I’m so glad I found him when I did. He has looked after my family for years and we are looking forward for the years to come with Aaron! Best babysitter I have ever known and my 2 sons love him. Always their to help out and get stuck in. #best babysitter award.